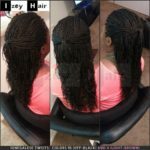 Braid Photo by Izey Hair – Las Vegas, Nevada. 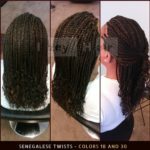 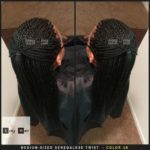 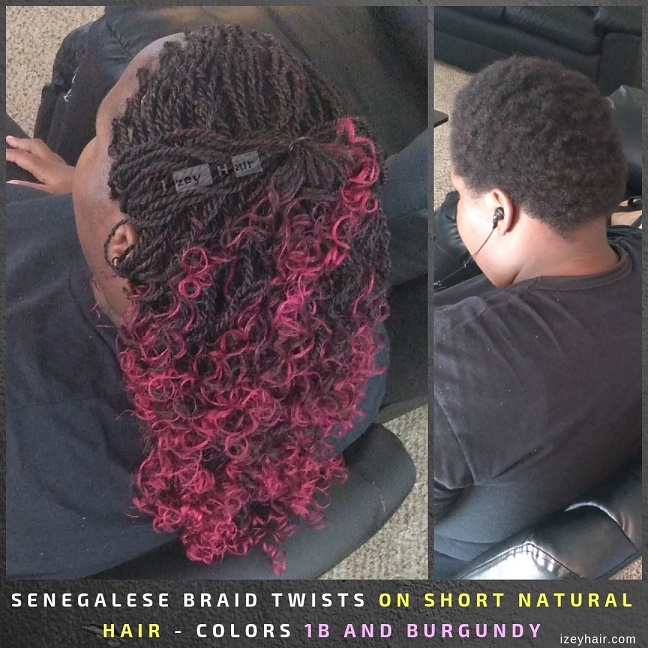 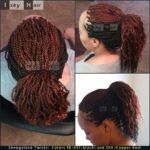 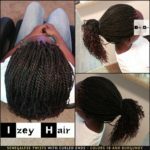 Senegalese Braid Twists on Short Natural Hair – Colors 1B and Burgundy. 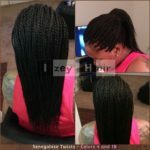 Natural Hair Journey after the big chop: I used Xpressions Braiding Hair for the Senegalese twists, and I curled them with flexirods (flexible rollers).